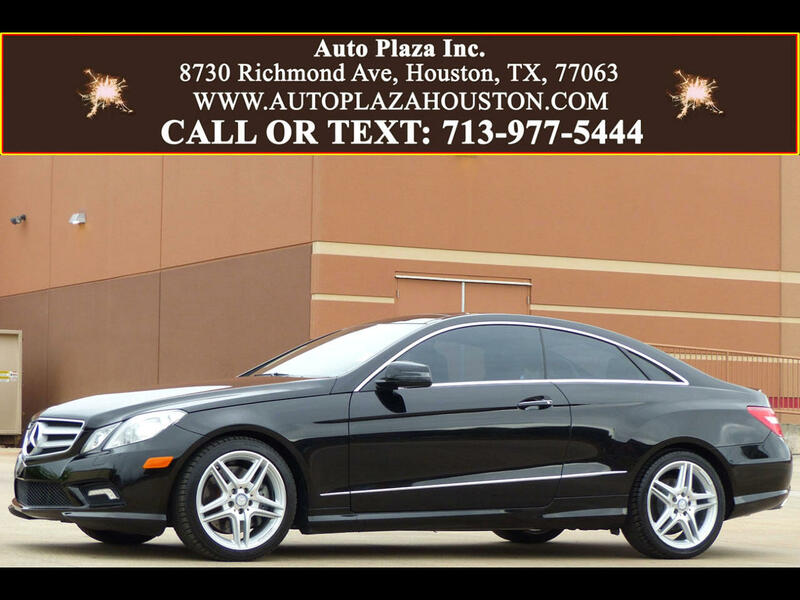 Used 2011 Mercedes-Benz E-Class E550 Coupe for Sale in HOUSTON TX 77063 Auto Plaza, Inc.
Auto Plaza Proudly Presents This High Sought After 2011 Mercedes Benz E550 Coupe with a Slick Automatic Transmission. This E550 has the Premium 2, Appearance and Sport Packages!!! Options Include, COMAND Navigation and Voice Control, Panoramic Sunroof, Backup Camera, BiXenon Headlights, Homelink, XM Radio with Traffic, 18-inch Alloy Wheels, 6CD Changer, Premium Harman Kardon Audio, Power Heated / Cooled Front Memory Seats, Sport Steering Wheel with Audio Control, Power Rear Window Sunshade, Sport Suspension, Sport Bodystyling, Rear Spoiler, Power Locks, Power Windows, Tilt Steering, Cruise Control, Dual Air Bags, ABS Brakes, Power Steering, Rear Defroster, Automatic Dual Zone Climate Control, Rear Air Vents, and Much More! The Advanced Mercedes Benz Technology and Engineering Ensures that you Experience Exceptional Handling and Stability, Offering you a Ride that is Safe and Secure. So, CALL TODAY to Schedule a TEST DRIVE!!! Financing Available! !